"Local disabled workers fulfilling local needs"
The Disabled Workers Co-operative is a registered charity that helps disabled people to help themselves. 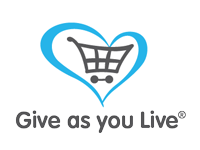 Our aim is twofold - to raise the independence of disabled people by enabling them to take an active role in the economy and achieve a greater sense of self-worth and also to raise awareness of the contribution that disabled people can make to society. The Disabled Workers Co-operative receives no central or government funds and is dependent on donations to keep its projects going. If you have found our services useful please consider supporting the work we are doing by making a donation. On-line database of the skills, services and products disabled people have to offer. Disabled individuals and companies or organisations employing a significant number of disabled people in meaningful employment are able to register the skills, products or services they have to offer FREE on the Disabled Workers Database. The Database is FREE for anyone to use. Employers who wish to beyond having an equal opportunities policy and actively encourage more applicants from disabled job seekers can advertise their vacancies FREE on Disabled Workers eJobs. Disabled Job Seekers are able to search for and apply for jobs on-line. Forum where you can discuss your experiences of disability and employment, ask questions, and pass on advice and experience to others. Just a chance to prove myself'? The Disabled Workers Co-operative is building a compressive database of organisations, products and services that help or promote understanding of disability. That can be searched by anyone with a particular need in mind. CareCo was founded in Brentwoo..
How to create a Policy on Employing People with Disabilities – model document. Home Modifications for the Visually Impaired: What are Your Options? What questions should you ask before buying a hearing aid? Bookmark this page to keep up to date with latest information.